The birth of a child is a time of great excitement, and the church delights to celebrate this event by giving thanks to God for the gift of life. In the past, almost all children were baptised into the church (also known as ‘Christening’), because almost all parents were regular church-goers. This is no longer the case. Many people are unsure about what they believe, but still feel a strong desire to give thanks for the birth of their child. In recognition of this, the Church of England also offers an alternative Service of Thanksgiving for the Birth of a Child. This provides an opportunity for parents to express their sense of gratitude for their child, and to recognise that there is a spiritual side of life, which they want their child to experience and understand as it grows into maturity. But the service does not mean the child becomes a member of the church. It is not the same as Baptism. The traditional service of Baptism, not only marks the entry of a child into the world, but also into the family of God, our heavenly Father. 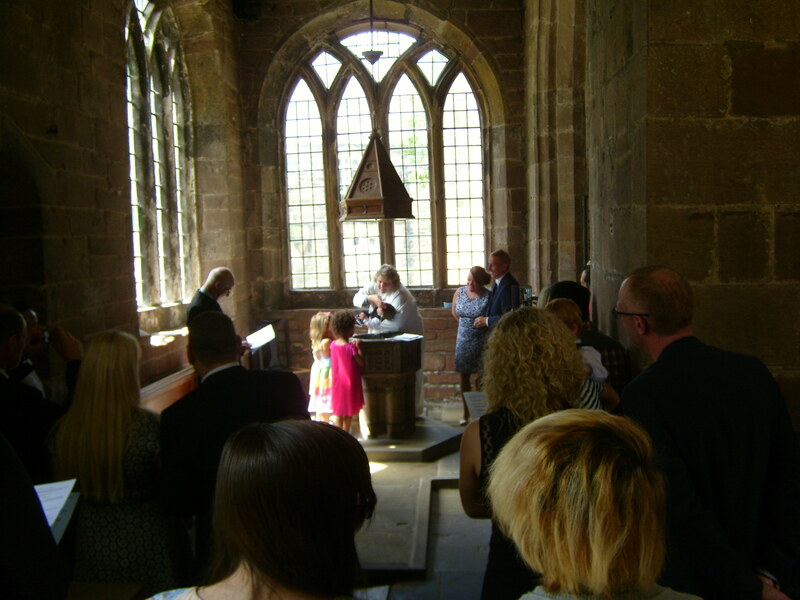 In our churches, the font, where the baby is baptised, stands near the main door, as a sign that Baptism means entry into the church. Parents who wish to have their baby baptised make a promise to bring up their child within the church. They also make their own profession of faith in God. In other words, parents (and godparents) say that they are Christians and want their children to grow up as Christians too. If you are a resident within one of the three parishes you can request a Baptism in your own parish. If you live outside the three parishes you would need to contact Reverend Janet to discuss the options. In baptism, parents are thanking God for his gift of life, deciding to start their child on the journey of faith and asking for the Church’s support. Baptism is a ‘sacrament’: a visible sign of God’s love. In baptism, we are thanking God for his gift of life and publicly acknowledging his love. We are acknowledging that we all need to turn away from the darkness of evil and to make a new start with God. The declarations made by you and the child’s godparents will be made in front of the church congregation. The Christian community will promise to support you and pray for you and your child. Is it not essential for the parents of the child to be baptised but any Godparents chosen by you must be baptised. What happened during the service? Your child’s baptism will normally take place in a separate service at 12:30 on a Sunday. The sign of the cross – the priest will make the sign of the cross on your child’s forehead. This is like an invisible badge to show that Christians are united with Christ and must not be ashamed to stand up for their faith in him. The priest may invite you and the godparents to sign the cross on the child’s forehead after he or she has done so. Anointing – after baptism in water, the minister may anoint him or her with oil. This is a sign of the outpouring of God’s Holy Spirit. Candles – Jesus is called the light of the world. A large candle will be lit in the church and a Godparent will be given a lighted candle as a reminder of the light which has come into your child’s life. At the end of the service you will be given the candle to take home with you. It is up to you, the child’s godparents and the church community to help your child reject the world of darkness and follow a way of life that reflects goodness and light and shares this light with others. Q. Can we have a baptism as part of the main service? 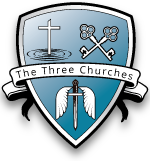 A. Baptisms usually take place separate from the church’s main service, because of time constraints on our clergy who have to take services at another of our 3 churches. Despite this it may be possible for the minister to make arrangements for another member of clergy to take the other service, discuss the options with the parish priest and together you can decide on the best option. Teenagers and adults may also be baptised. This may also be followed with confirmation by the Bishop. You can only be baptised once, but there are ways of renewing your commitment publicly as an adult – the priest will be able to advise. A. Yes. The Church believes that God’s love is available to all, regardless of their background. The parish priest can talk you through the options: you may prefer to have a Thanksgiving service first and then consider baptism when you have had time to talk through what is being asked of you. A. The Baptism service is free. There may be a small charge for a certificate or administration fee. Ask the parish priest.